Bamboo bags, bamboo handbags, “bamboo plaited” lamps, table lamps, cross lamps, etc., are new products that contribute to the diversity of Bao La bamboo and rattan products. Being in her sixties, Mrs. Nguyen Thi Mung, who lives in Bao La, Quang Phu Commune (Quang Dien – a district located in the North of Thua Thien Hue province, which is around 15km away from Hue City) still sticks to knitting craft, and she always has initiatives in making new products to meet the demand of the market. Her creativity and dedication to the craft has met worthy reciprocation when the average monthly income of Mrs. Mung is around 6 million VND. 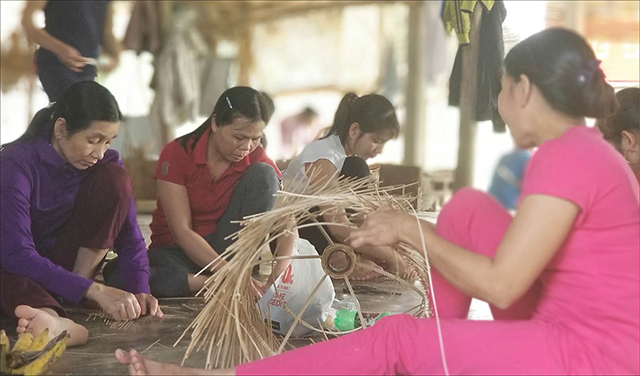 “The dedication to the craft does not only help us earn our living, but it also contributes to preserving and improving the value of Bao La traditional knitting craft village. 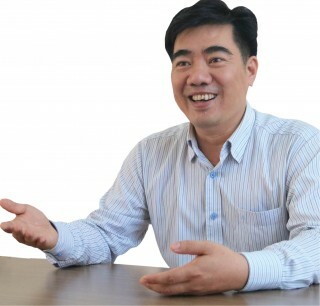 The people who are as old as me, for example, Mr. Nguyen Minh Luan, a 75-year-old person, is still continuing to create and make new products to partly “stand firm” in the market and “spread” passion to young people. Thanks to it, this craft will not get lost”, Mrs. Mung shared. 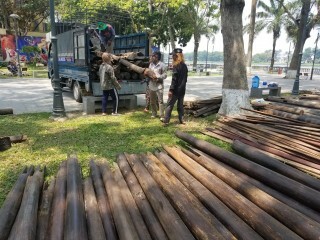 Director of the Bao La Bamboo and Rattan Collective, Mr. Vo Van Dinh affirms that product creativity and renovation are indispensable requirements in the process of renovation, as well as that of production and trading development. The main advantage of the collective is that, in addition to two artisans, there are many workers descended from the families having bamboo and rattan knitting craft. Besides being wrapped up in the work of production, the knitting workers also take their time to consult the product models on the Internet. From the models made of wood and stone, etc., after consulting, the workers of Bao La Bamboo and Rattan Collective research and renovate, then remake them with bamboo. Currently, the Provincial Industrial Promotion Center has supported the Collective buying sculpture making machines to design patterns on products. On an average of each year, Bao La Bamboo and Rattan Collective creates 40 – 50 new products. So far, the Collective has made over 500 different products made of bamboo. Before making the new products, the Collective sends the designs to the customers to get their reference and decision. 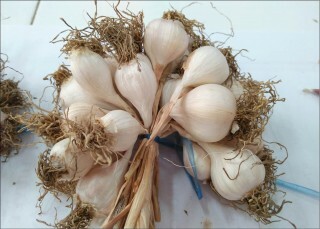 Until now, most of the new products of the Collective have satisfied the customers and the markets. However, while the products have been produced more innovatively, sophisticatedly and become well-known in the market, the number of products is still not enough to meet the demand of customers. That is the thing that makes Mr. Dinh unsatisfied. The biggest difficulty is the lack of skilled staff. Currently, there are 70 full-time workers and 40 part-time workers in total. 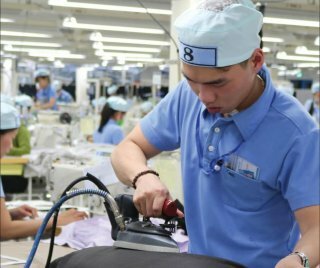 With the number of workers mentioned above, it is not yet able to produce a huge product supply to serve market demand. Hence, the Collective had to refuse many orders during the past time. This is a vast pity and disadvantage in the process of producing and trading of the Collective before the new demands. 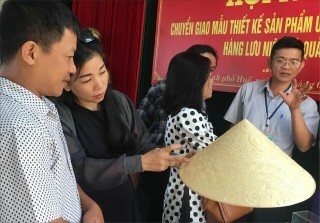 Bao La bamboo and rattan products also contribute to serving tourist tours of Quang Dien district in particular and those of Thua Thien Hue province in general. Tourists coming to Quang Dien district cannot ignore visiting Bao La bamboo and rattan craft village and buy products as souvenirs. Nonetheless, for a long time, the lack of showrooms to display products aiming at ensuring the demand of tourists had been the biggest limitation of Bao La bamboo and rattan collective. 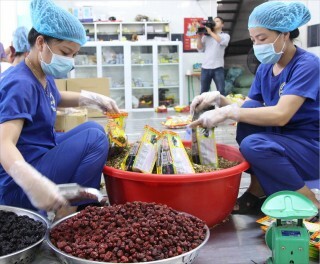 In 2018, the collective exported over 40.000 products to China, Japan and supplied to domestic market through an intermediate business in Ha Noi; the revenue reached 41,1 billion VND, an increase of 25% compared to the previous year; per capita income was 4.5 - 6 million VND per month. 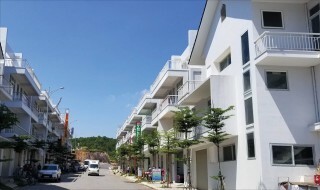 Quang Dien district itself has built a factory and warehouse with a total area of 2.500 m2. 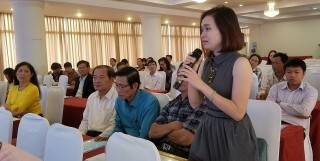 The People’s Committee of Quang Phu district sponsored the expense of clearing the ground to serve the construction.According to Mr. Dinh, the province has just issued the investment license for the Collective to build a showroom with a total expense of 3.3 billion VND to meet the demand of tourists. The spacious showroom has been completed basically. It is expected to come into operation in the middle of this year. The collective bought all of the ornaments and shelves to display 500 products by their own. In the area of the showroom, the warehouse and the factory, the Collective planted bonsais, built a fish pond with a bamboo hexagon lake house in the middle (with a bridge over the pond) to serve tourists go fishing after visiting the showroom. The Bao La Bamboo and Rattan Collective is recruiting skilled artisans and workers to focus on producing high quality and sophisticated products to serve the display. 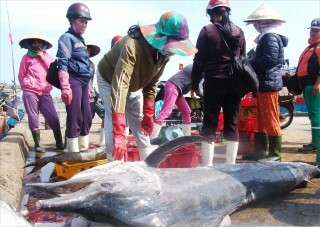 The products which are displayed can be sold if the tourists are in need. Also, in this period, the Collective fully prepared all product types, and they are ready to join the coming Hue Traditional Craft Festival 2019.